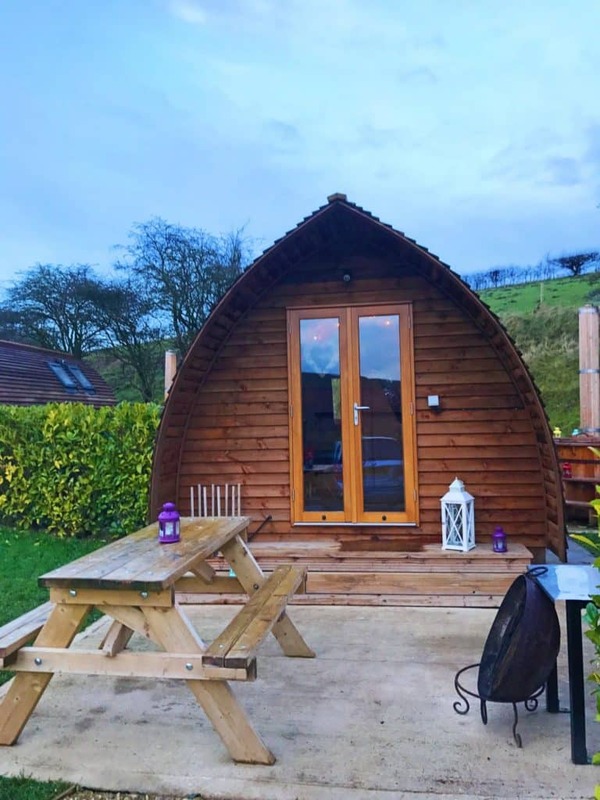 Back in January we headed to the North Yorkshire countryside, just outside Scarborough, to celebrate Dave’s birthday in a Wigwam® Cabin. 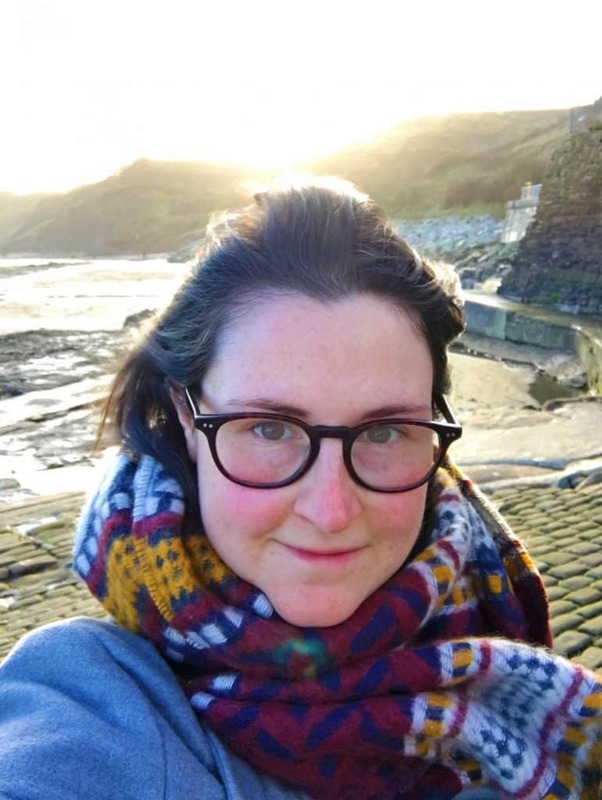 We enjoyed exploring the Yorkshire coast, eating lots of Whitby scampi and relaxing in our Wigwam at the end of the day. Here is what we got up to over the 3 days. Do you want to be kept up to date on more posts like this? Please subscribe to the blog mailing list (it takes 30 seconds). You will get sent the new recipes straight to your inbox. Your email address won’t be passed on to anyone and you will never be spammed. We first stayed in a Wigwam® Cabin in The Cotswolds and had such an incredible stay. 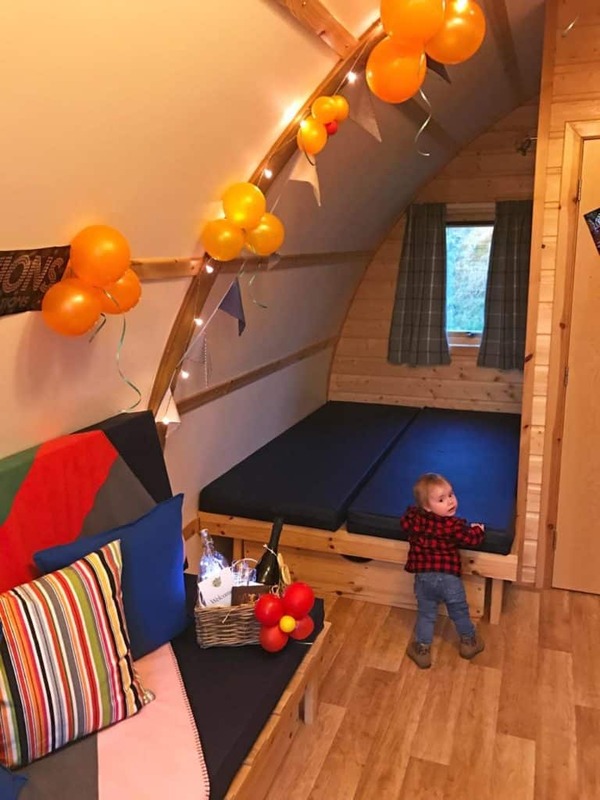 So, when they approached us to check out Wigwam® Holidays Humble Bee, we jumped at the chance to explore a new part of the UK and stay in a cosy Wigwam® Cabin again. 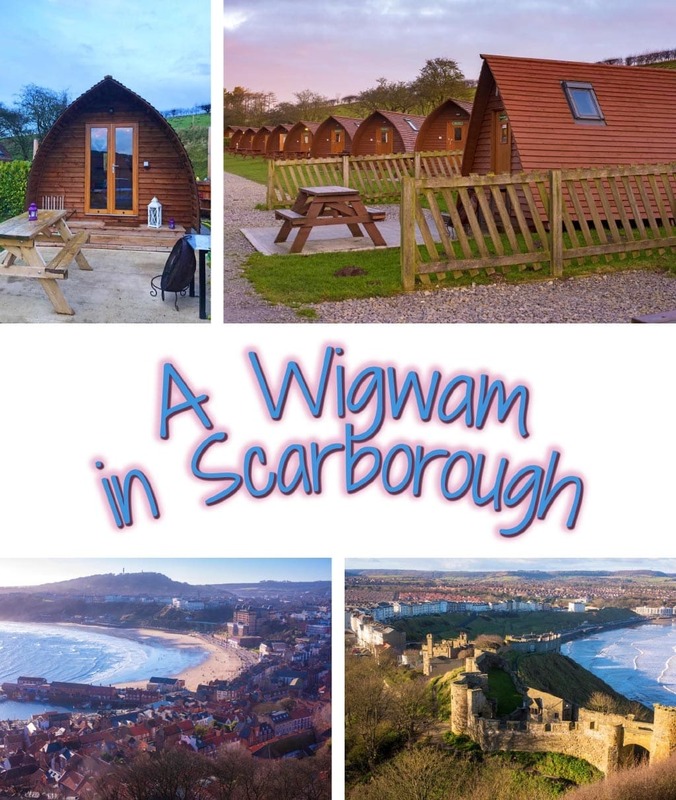 What I love about Wigwam® Holidays is that all the cabins are pretty similar, no matter what the site, so you know exactly what you are getting. 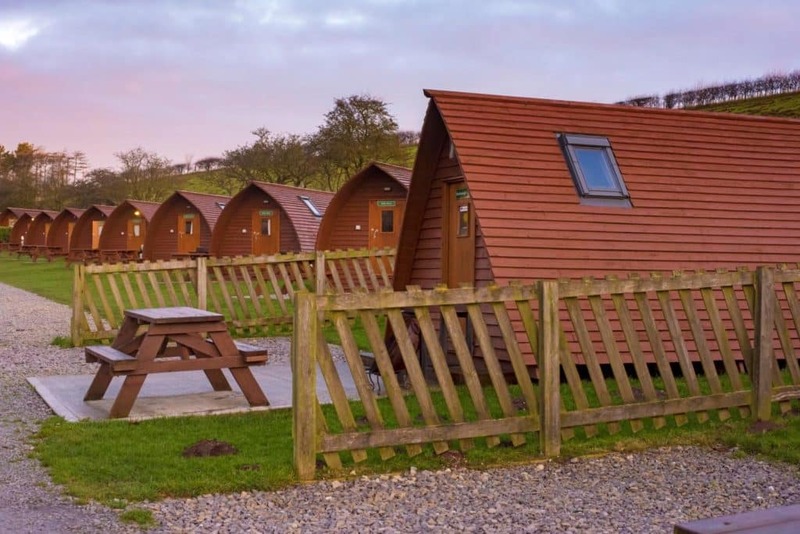 They pride themselves on providing ‘Great Holidays in the Great Outdoors‘ and they do just that, because the location on the Wigwam® Sites are all stunning. Fairly remote, but really easily accessible with plenty of facilities near by. That’s kind of ideal if you like to get off the beaten track, but have kids and still need stuff near by. 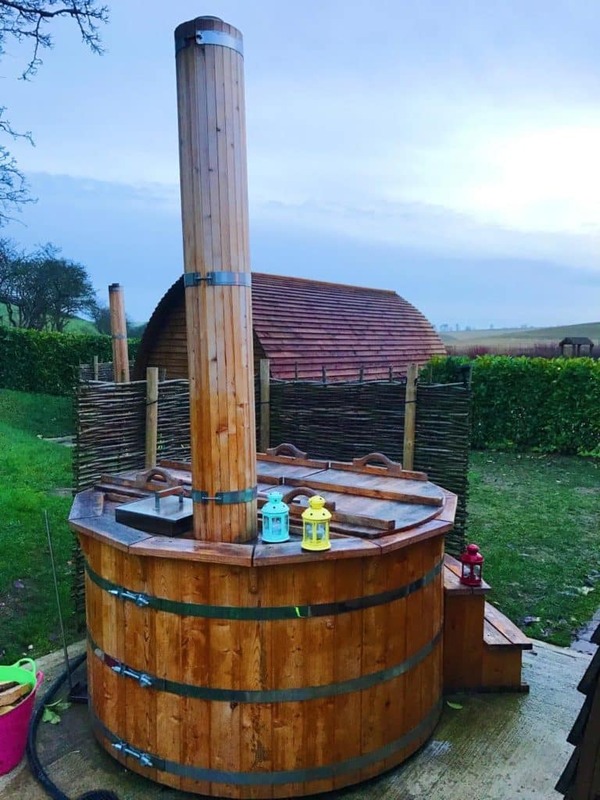 We were booked in to a Running Water Deluxe Wigwam® Cabin which we were excited about, because it meant that we had an outdoor hot tub and our own bathroom too. We stayed in the exact same cabin when we were in The Cotswolds, so we knew we were going to be happy with it. 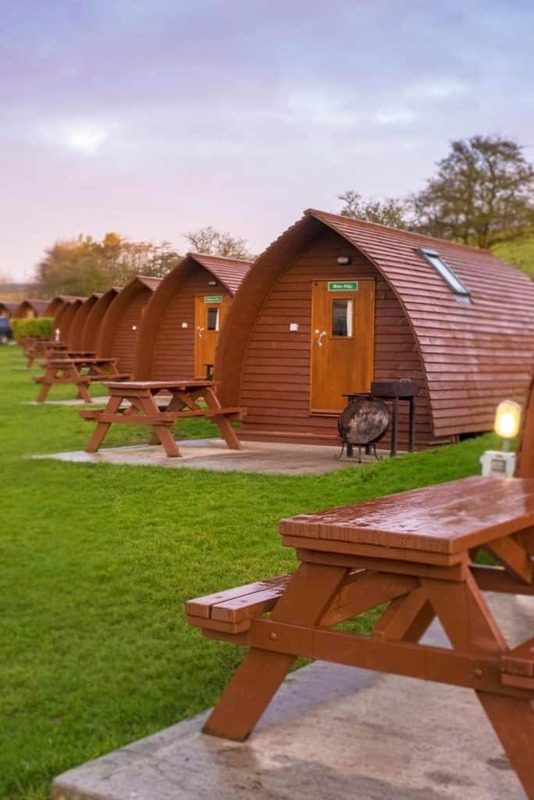 There are other options on the site, and if you are on a budget that there are cabins without bathrooms – but I checked out the shared facilities on site and they were clean and had everything you would need. We loved that ours had a little kitchen. Although we wanted to enjoy the food in the area, with a 1 year old we knew we were going to be back at the cabin fairly early in the evening, so we would be eating dinner there. 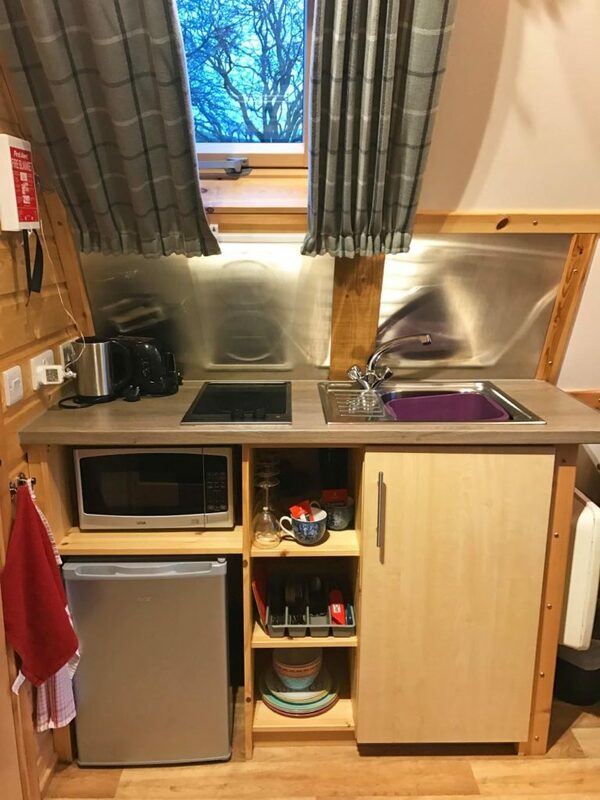 Although the kitchen is compact, it has everything you need to make a meal and that all important coffee in the morning. 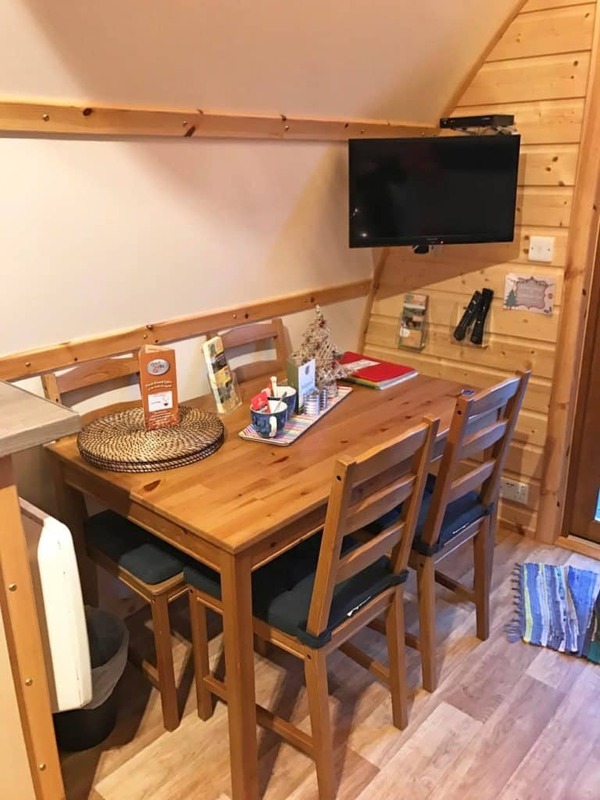 There is a little dinning area that has plenty room for 4 (which is the amount of people that can sleep in the cabin) and even a TV too for when your kid just has to watch Peppa Pig! 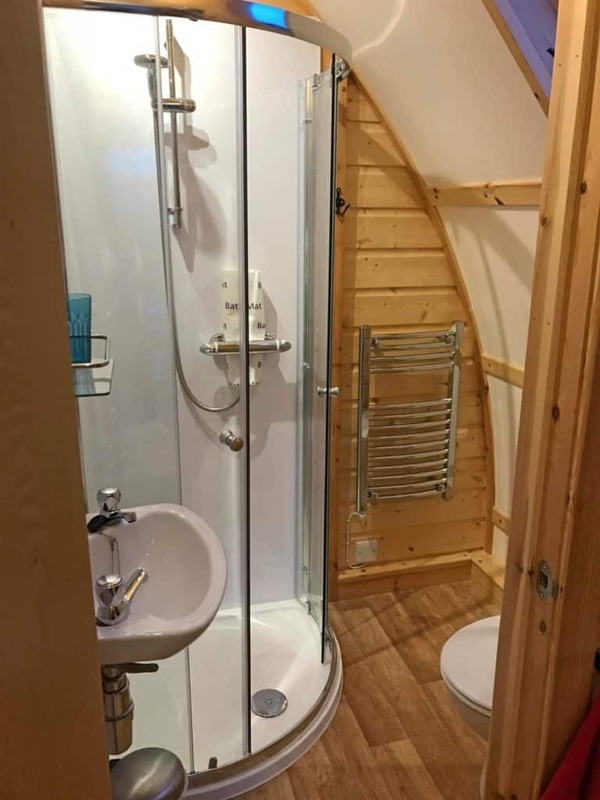 These cabins are compact, so it means you have to be organised and tidy up after yourself, otherwise you will end up tripping over everything. But for us, that it part of the appeal and you are out all day anyway, exploring the local area. We hadn’t been in more than 5 minutes and Avery was already enjoying exploring her new home for the next few days. She is already a little adventurer and is not phased by sleeping in new locations. I think she finds the whole thing really exciting and who wouldn’t be excited about staying in a Wigwam? 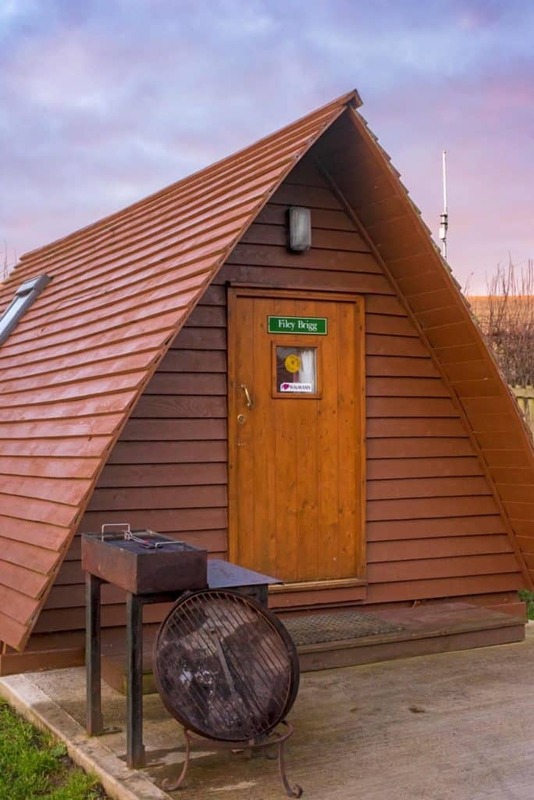 The outside hot tub really is the main appeal of these wigwams and was a highlight of our trip last time, and it was again on this trip. The staff will fire it up for you before you arrive, so it is the perfectly temperature when it comes time for you to get in. They are private and the perfect way to unwind after a long day of walking and eating. They even stay warm enough for a dip in the morning. As it was Dave’s birthday whilst we were there, I arranged for a celebration package to be there were we arrived. The chocolates were locally made and delicious! There are lots of add-on packages that you can do at Wigwam® Holidays Humble Bee so you can tailor it to your needs. As we arrived late afternoon, we decided to just relax in our Wigwam the first night and get an early night ready to explore the area the next day. 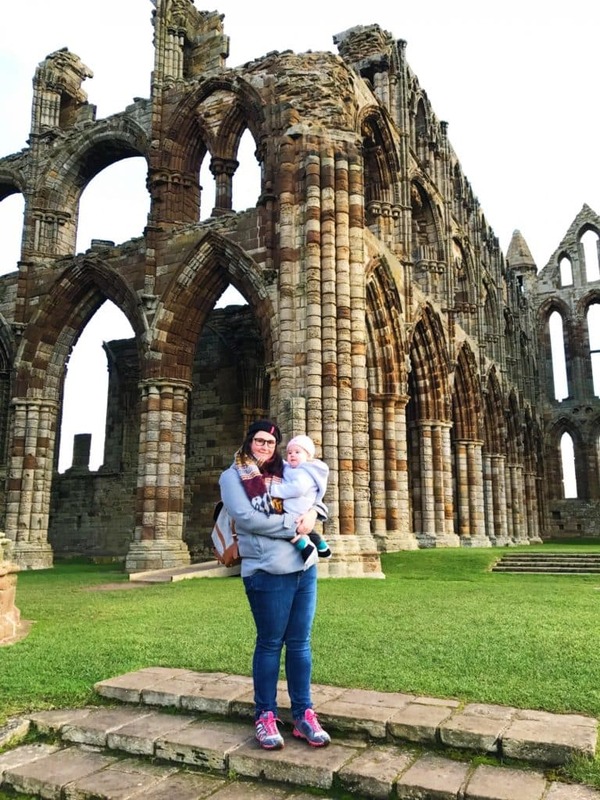 We woke up to a beautiful sunrise and wanted to make the most of a sunny day, so we headed to Whitby. 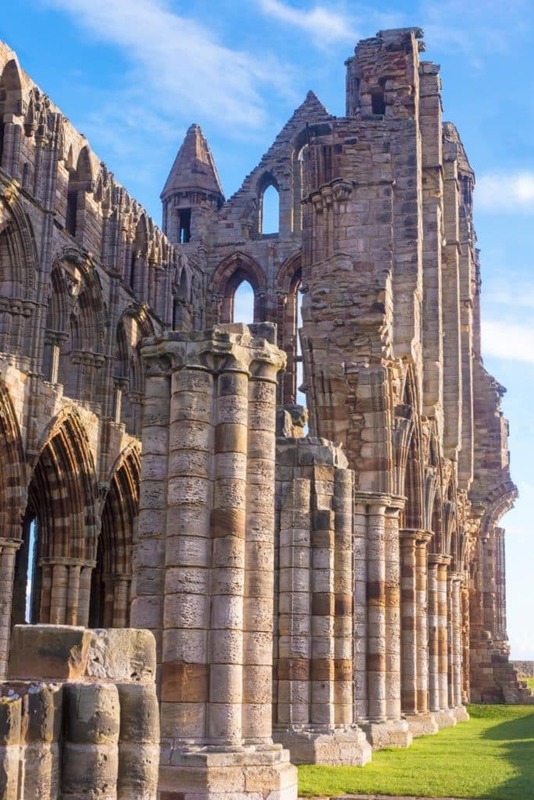 Whitby Abbey has been high on our list of places to visit for a while and as we arrived I realised that photos just don’t do it justice. 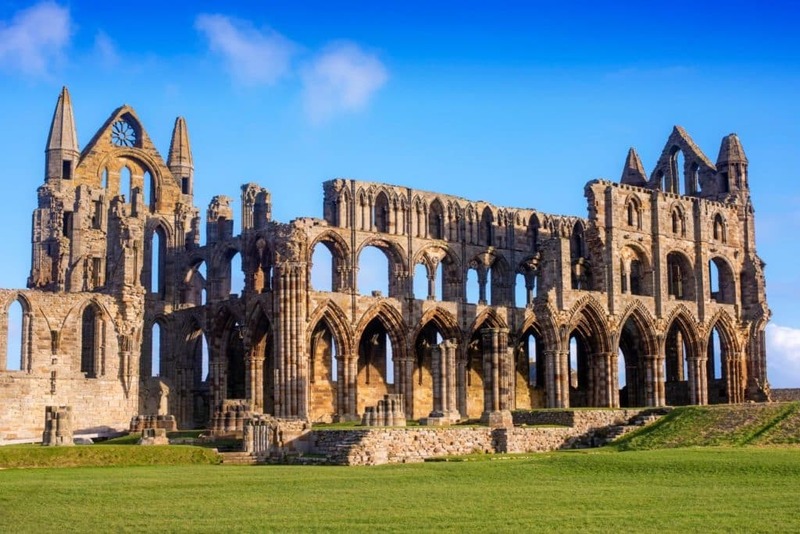 Overlooking the North Sea, Whitby Abbey was a 7th-century Christian monastery that later became a Benedictine Abbey. 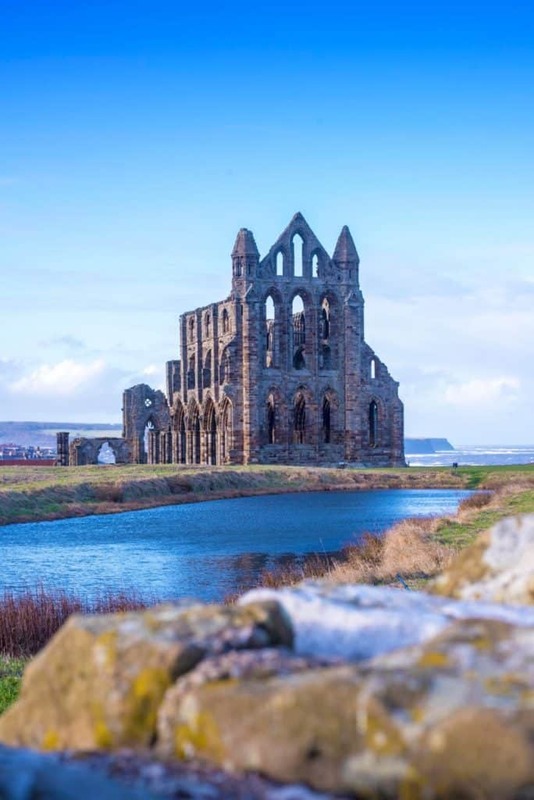 The remains of the abbey were the inspiration for Bram Stoker’s gothic tale of ‘Dracula’. The skies might have been a beautiful bright blue, but it was cooooold! Being on a clifftop it is pretty windy and although we were dressed for the weather, there is only so much that a one year old will tolerate. There is a little museum inside that tells you all about the abbey too if you want to warm up. 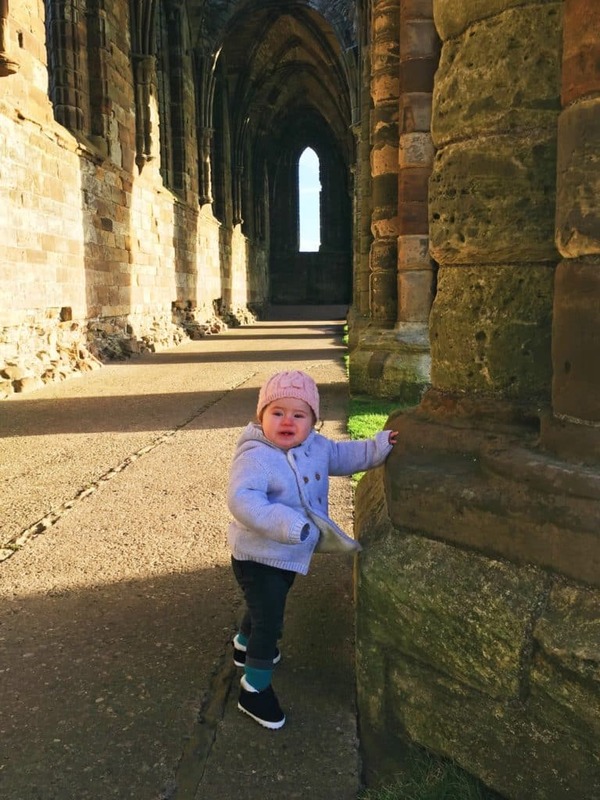 I don’t think you can get a much better backdrop for some family photographs and Avery enjoyed posing for a few. There were lots of kids here and they looked like they were having a great time, as there are lots of rocks and boulders for them to climb in the ruins, which you don’t get at a lot of sites. 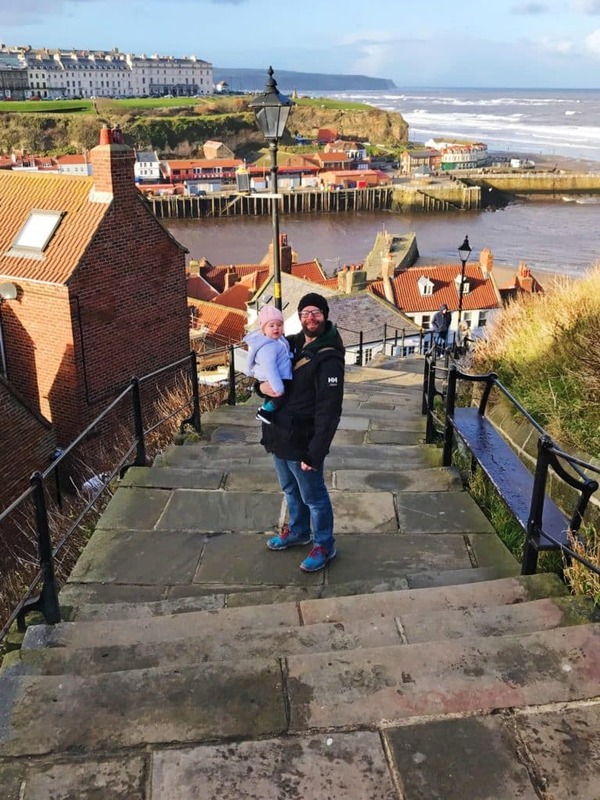 We parked up at the top, right next to the abbey and after enjoying a hot drink in the cafe there, we headed down the famous 199 Whitby Steps (we counted – there is 199). It is a bit of a climb (down is fine, but coming back up was tiring when we were loaded up with ice cream). But look at that view. Totally worth it! Whitby town itself is really lovely, and not at all what I was expecting. I was expecting the usual run down English seaside resort, but it was far from it. It was thriving (I guess the weather helped) and it was bursting with independent shops. 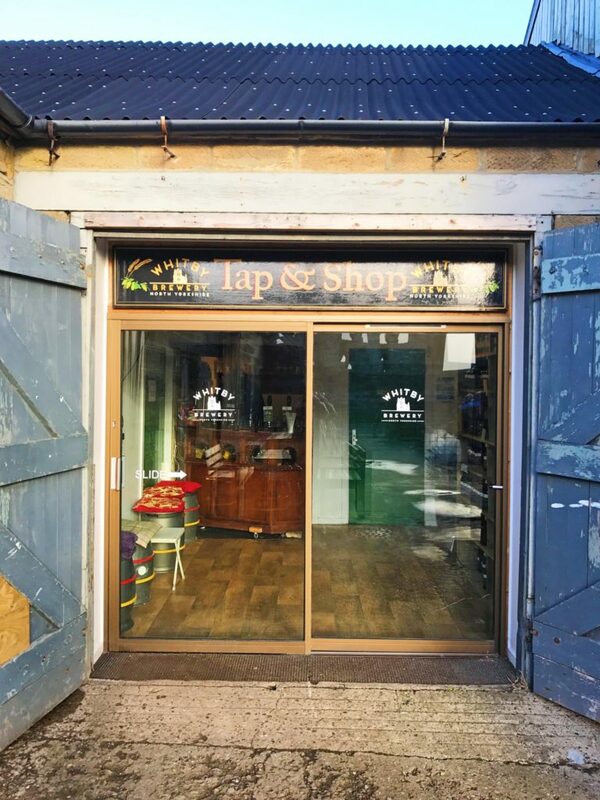 There were so many little quirky cafes, craft shops, clothing stores and lots of places to get a souvenir that is a little bit different from the norm. I wish we had more time to spend there, but we will definitely be going back. 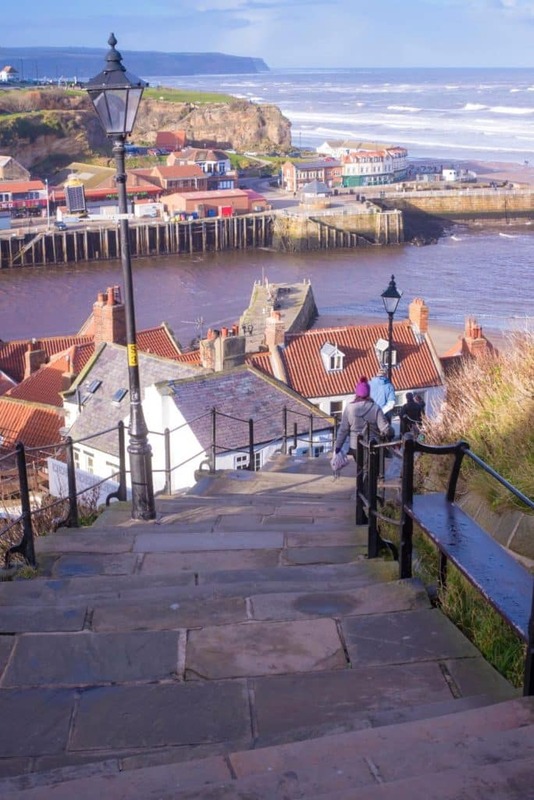 We headed back up the 199 steps to the car, but as we did we passed Whitby Brewery and thought it would be a good place for a rest after climbing those steps. 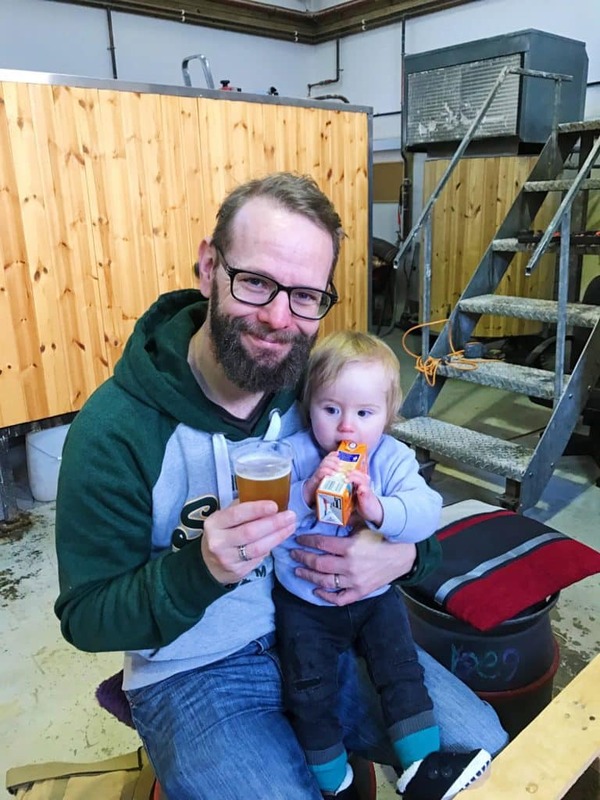 The great thing about this brewery is not only can you buy yourself some local beer, but there is a micro pub there and you can drink inside the brewery. How cool is that! Dave and Avery were drinking buddies. Avery on the orange juice of course. That brewery was thirsty work, so we headed to the nearest country pub to have a nice birthday meal. 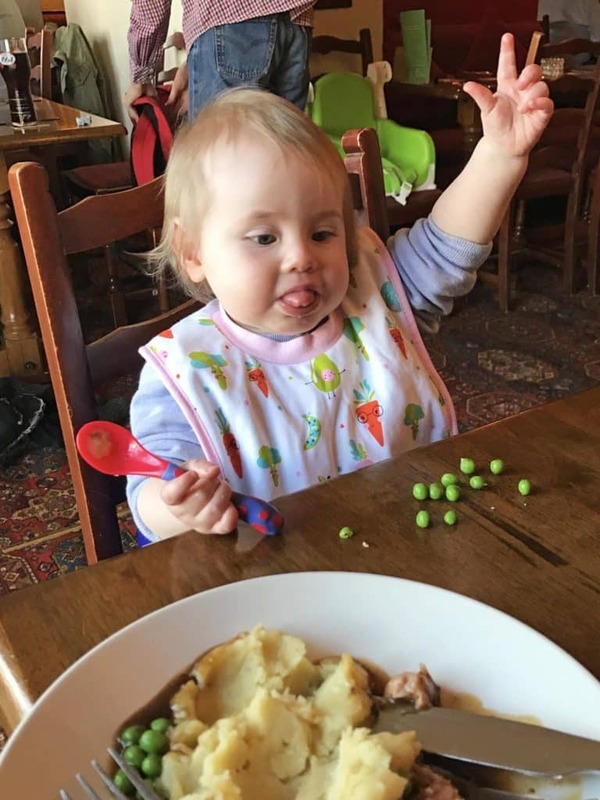 Avery basically used it as an opportunity to throw peas everywhere. As you can see, she was pretty happy about that! 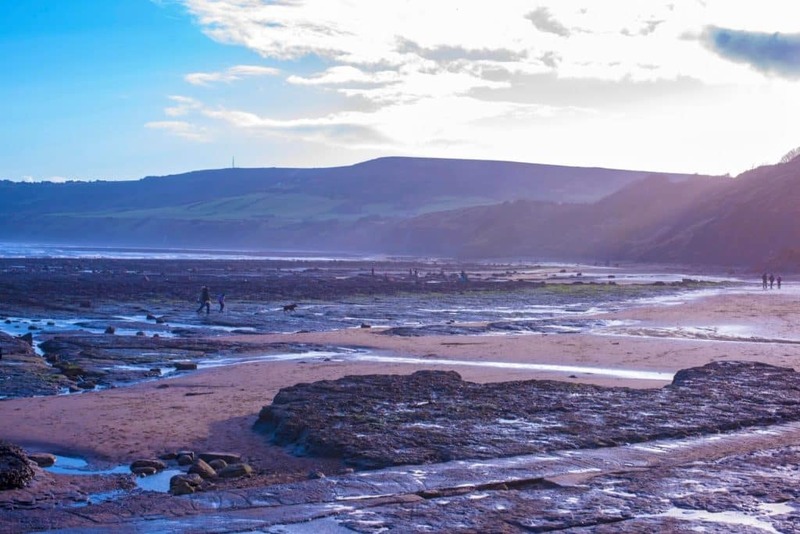 If you are in the Whitby area, a visit to Robin Hood’s Bay is a must. We were warned that it is a steep walk down to the bay from the car park (well, it’s the walk up that is the hard part) and the warnings were not wrong. But the beach was beautiful and made the walk back up SO worth it. The beach was full of families enjoying a walk, dogs darting in and out of the water and the smell of fish and chips surrounded you. Again, somewhere I would love to spend some more time. On the way back to our Wigwam, we headed to Dalby Forest which is a scenic forest drive. We didn’t get any photos, as it was getting dark and we were just passing through it. But, if you are in the area, definitely check it out. There are lots of places to stop off at for walks and outdoor activities and there is even a Go Ape in the forest too. We spent Dave’s birthday evening having a few drinks in the hot tub and unwinding after long day of walking. There was still plenty more exploring to do the next day too. We stayed a little closer to home the next day and headed to Scarborough. 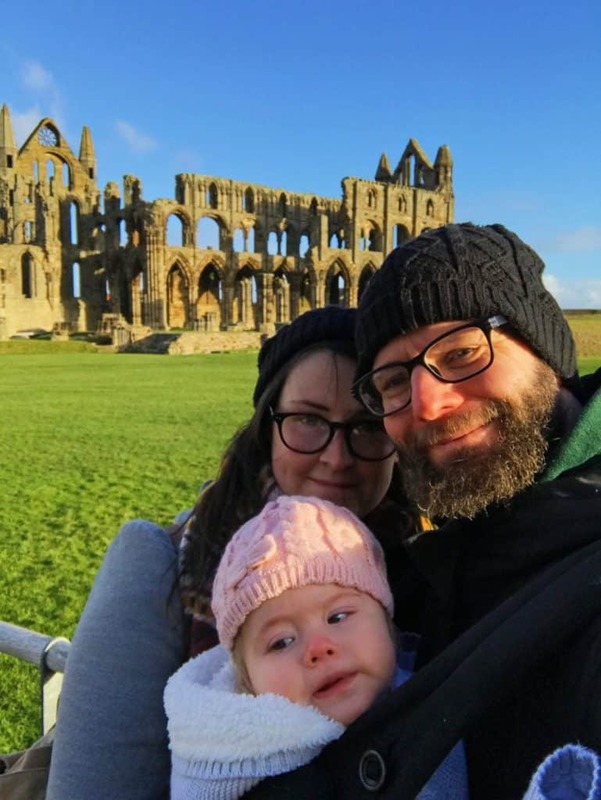 Again, I wasn’t expecting much from this seaside town and although it was a little more “Blackpool” (nothing wrong with that though) than Whitby, we were really impressed. 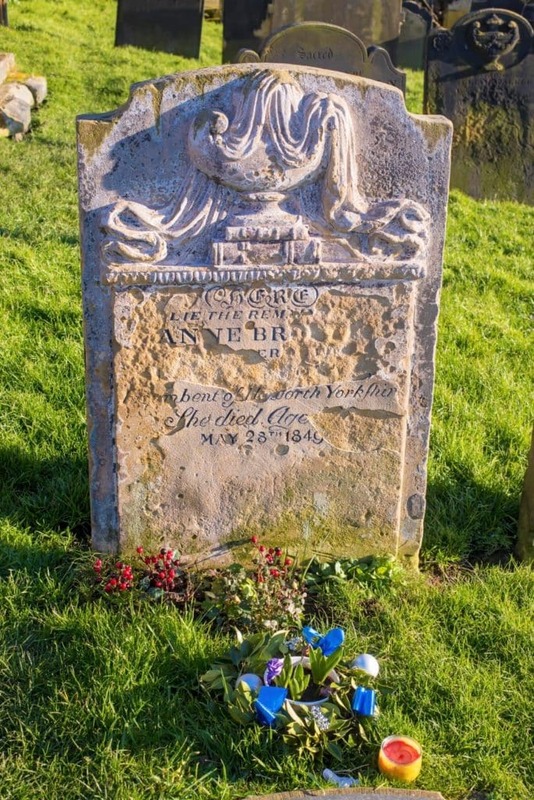 We headed straight to the Castle and before looking around we noticed that it is where Anne Brontë is buried. We live near Haworth, where the Brontë Sisters grew up, so we were interested to see this too. 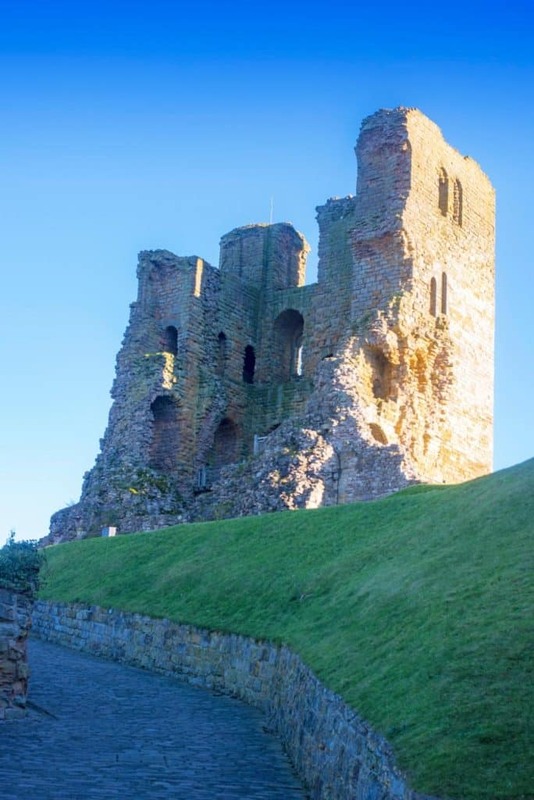 Scarborough Castle is an English Heritage site, so a little pricy to get in to unless you have a membership, but it is definitely worth doing. 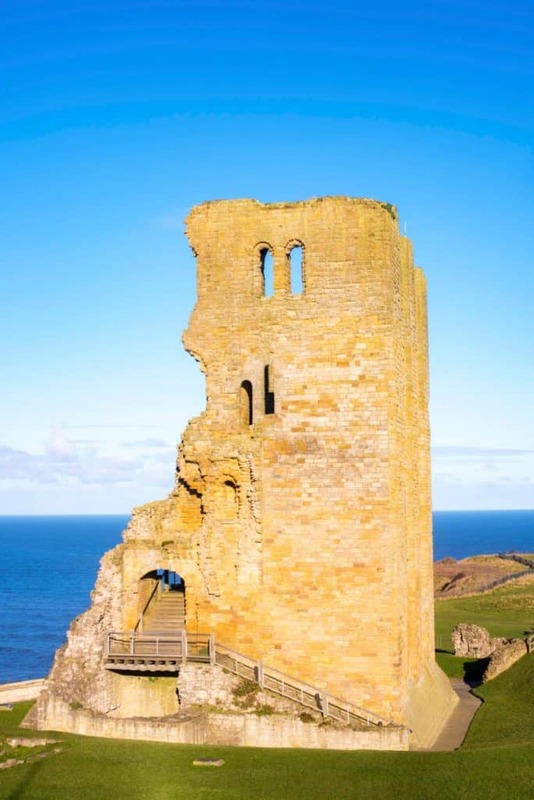 You get unparalleled views of Scarborough bay from the top and with 3,000 years of history, it was a really informative visit too. 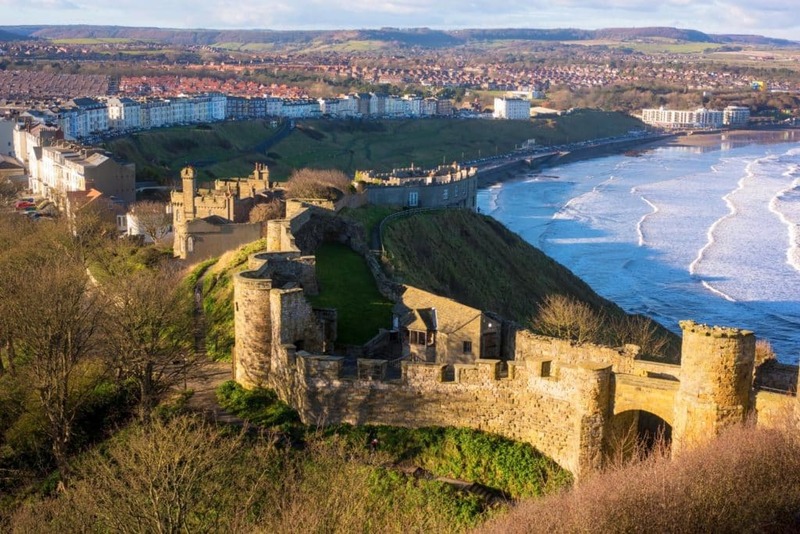 Scarborough itself has everything you could want from a seaside town. 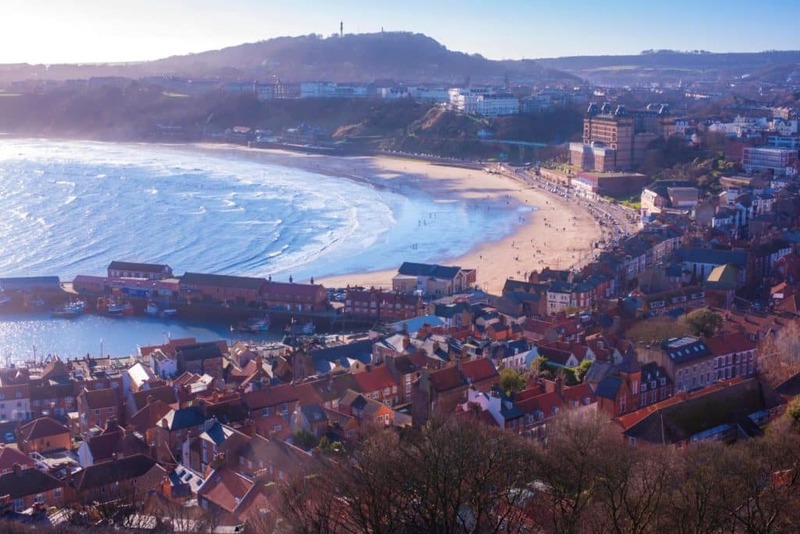 It had the best fish and chips we have ever had (and super good value too), amusement arcades for us to spend some money in, cute little tea shops, souvenir shops and a lovely and clean (albeit very busy, even in chilly January) beach. I would love to go back in the summer when I imagine it’s even more bustling. 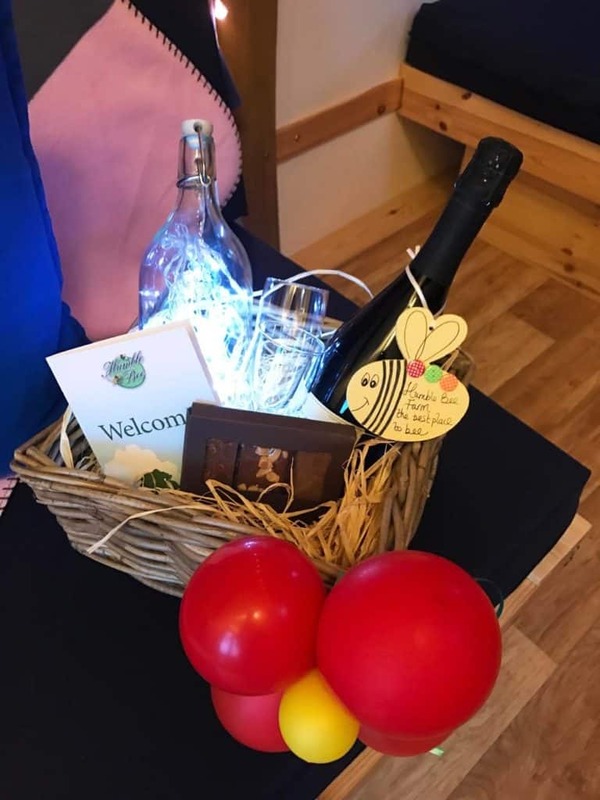 We headed back to Wigwam® Holidays Humble Bee late afternoon, as we wanted to enjoy some time on the site and see what else it has to offer. It’s a working farm, so there are lots of animals on site that you can do and see – the pigs were a particular favourite with Avery as she loved seeing them in the mud. 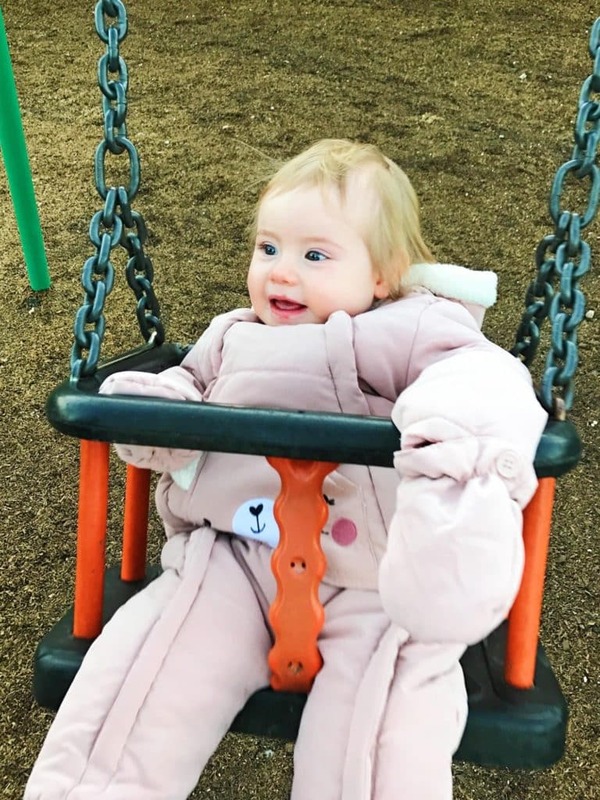 There is plenty for kids to do on site as well, as there is a really well equipped playground, which even had a baby swing. During reception opening hours there is also a little shop to pick up some basics, or some snacks to keep the kids happy. You can even buy eggs laid by the farm’s chickens. It doesn’t get much more farm to plate than that. 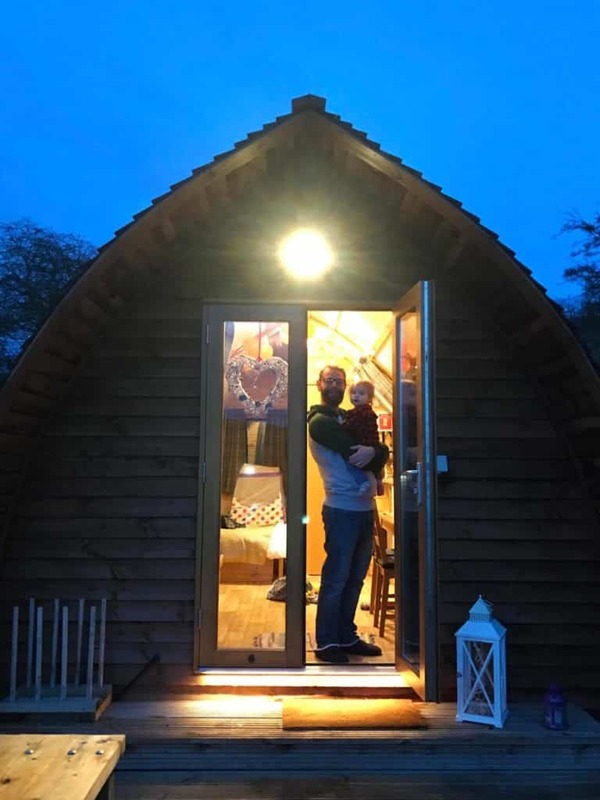 We really enjoyed our stay at Wigwam® Holidays Humble Bee, which had everything we needed and a really comfortable night’s sleep in our Wigwam. 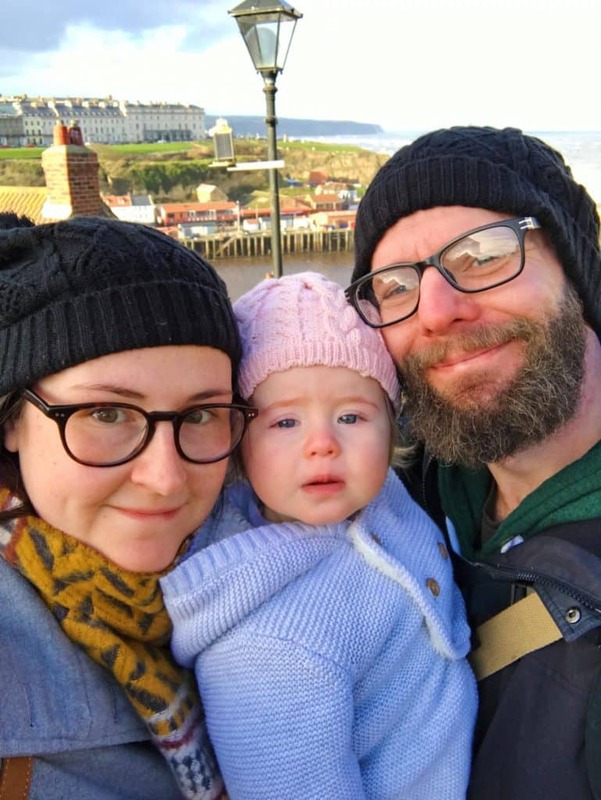 The North Yorkshire coast was a pleasant surprise and we will be going back very soon, and definitely staying in a Wigwam again. Hey very cool web site!! Man .. Excellent .. Amazing .. I’ll bookmark your web site and take the feeds alsoI’m happy to find a lot of useful information here in the post, we need develop more techniques in this regard, thanks for sharing. . . . . . I really want to stay in a wingham now. They look so cozy and a great place to relax. Such a beautiful post and great photos. OMG I like these houses! 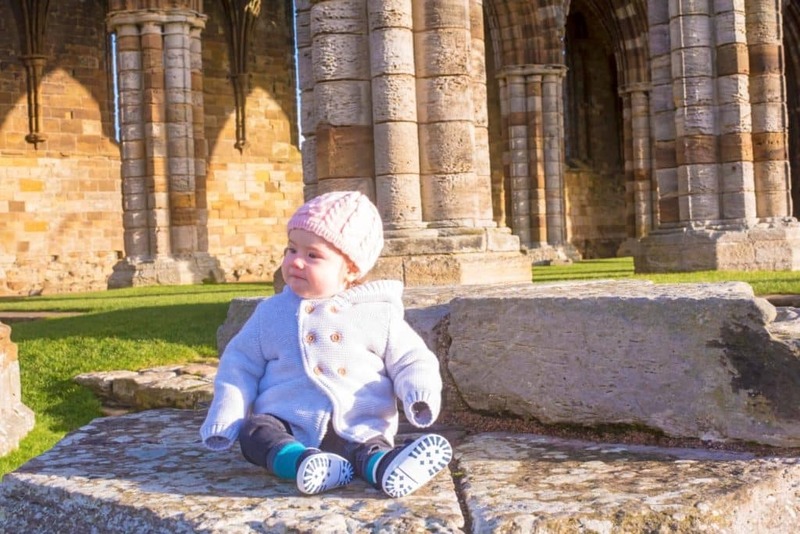 Your little one shows she is enjoying her Wigwam vacation. oh, It seems that you really had an amazing time there in Wigwam. Those houses are so cute and it looks so calming. I will totally save this to my travel lists.